FTP Upload: Using your FTP program, upload the unzipped theme folder into the /wp-content/themes/ folder on your server. This theme comes with the ability to bulk install all* required and recommended plugins. Once you have activated the theme you will be prompted to install and activate the required and recommended plugins. Simply click Install “Begin installing plugins” and the process will begin. JETPACK: Jetpack is a single plugin that gives you the most powerful WordPress.com features, hooking your self-hosted WordPress site to WordPress.com’s infrastructure to take advantage of robust stats, easy social sharing, and a whole lot. WOOCOMMERCE : WooCommerce is a free eCommerce plugin that allows you to sell anything, beautifully. Built to integrate seamlessly with WordPress, WooCommerce is the world’s favorite eCommerce solution that gives both store owners and developers complete control. PAGE BUILDER SANDWICH : Page Builder Sandwich is quite possibly the last page builder you’ll ever need. With its front-end drag and drop capabilities, Page Builder Sandwich allows you to create and design your site the way your visitors see it. Get access to numerous features such as shortcode mapping, hassle-free and pop up-less editing, and more. With us, you’re sure to have a page building experience like no other. Before building your site you need to configure WordPress and the plugins. Please read carefully Theme Installation/Plugin Configuration. You can set Site Title in Settings > General. You can set Blog pages to show at most in Settings > Reading. You can select Front Page and Posts Page in Settings > Reading. You can set Discussion settings in Settings > Discussion. You can change image sizes in Settings > Media. You should ensure that a non-default permalink setting is selected, e.g. Post name in Settings > Permalinks. 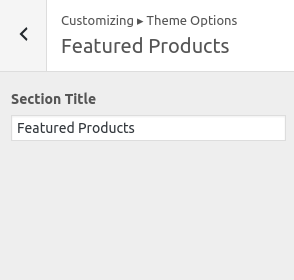 You should configure customizer options in Customize on admin sidebar. Or you can choose customizer option from Appearance Menu in the dashboard. 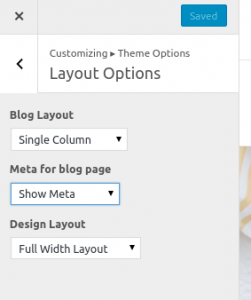 All the settings like site title, tagline and logo, header image, background image and static front page under WordPress Settings. 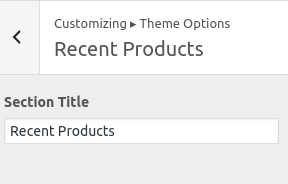 The next option is “Theme Options” which has following sub-options. 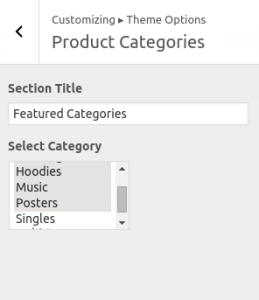 This option lets you add a title and select any three categories to be displayed in the home template.If more than three categories are selected then also only three categories are displayed among them. This option lets you add only the title of the section. This option lets you add a title of the section. 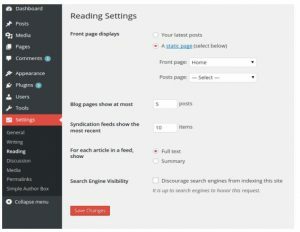 This option lets you enable or disable search from the top menu, sticky menu, go to the top section, social icons on top and social icons on the bottom in your site. It also lets you reset all default settings. This option lets you choose three pages which you want to make featured on your site. 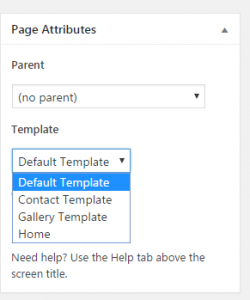 You can add the title of this section and also enable or disable this section in the homepage. 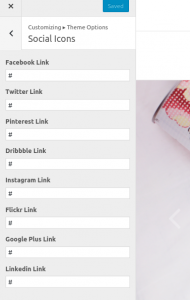 You can add social media links to your site from this section. 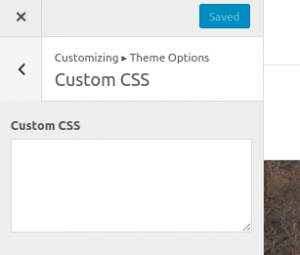 Add CSS in this section to tweak the appearance of the site. 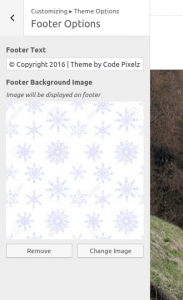 You can add footer text and background image under footer options. 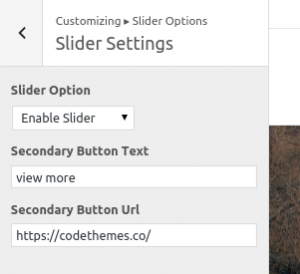 Slider options let you configure slider setting in your site. There are further two options slider settings and display page slider. 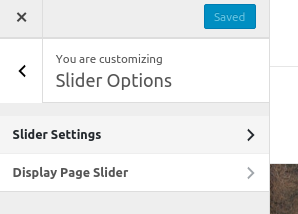 Slider setting lets you enable or disable slider in homepage. Is slider is disabled, the header image is displayed instead of a slider. You can also add button text and link to the slider. 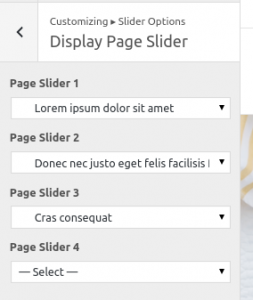 Display page slider lets you choose four pages whose featured images will be displayed as the slider. 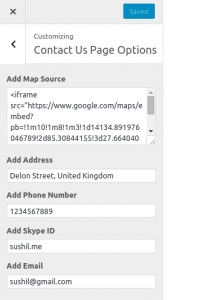 This option lets you add contact information for you or your company on the site. The form in the above screenshot is coming from contact form 7 plugin. 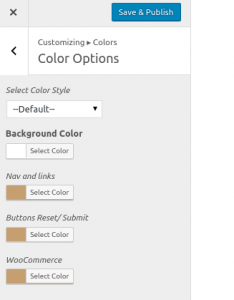 Color options allow you to choose a color style, background color, nav, and links color, buttons reset/submit color and WooCommerce. The theme has two menus “main menu” and “footer menu”. The former is shown in the top below the logo/site title and the later is shown on the bottom of the site. Navigate to Appearance > Menu and click on “create menu”. Add pages, categories, posts etc to the menu. Assign the menu to “main menu” or “footer menu”. New pages can be added by clicking pages on admin dashboard and can be assigned to various templates on the right side. There are various page templates that you can choose. 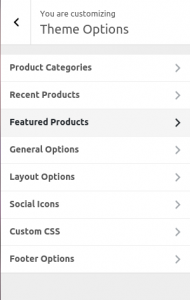 Step 1: Navigate to Posts in your WordPress admin sidebar. Step 2: Click on the Add New option to make a new post. Create a title, and insert your post content in the editing field. Step 3: Select Post Format from the right side. Step 4: Add categories from the right side. To assign it to the post, check the box next to the category name. Step 5: Add tags from the right side. Type the name of the tag in the field, separate multiple tags with commas. Step 6: you can add featured image. To do so, first click the featured image box, select an image and click the set featured image button. There are six widgetized areas in Mystic Lite. You can add widgets in the main sidebar which is displayed in homepage and other pages. In footer region, you can add widgets in four different widget areas. WooCommerce Sidebar is only activated if there’s WooCommerce plugin installed.